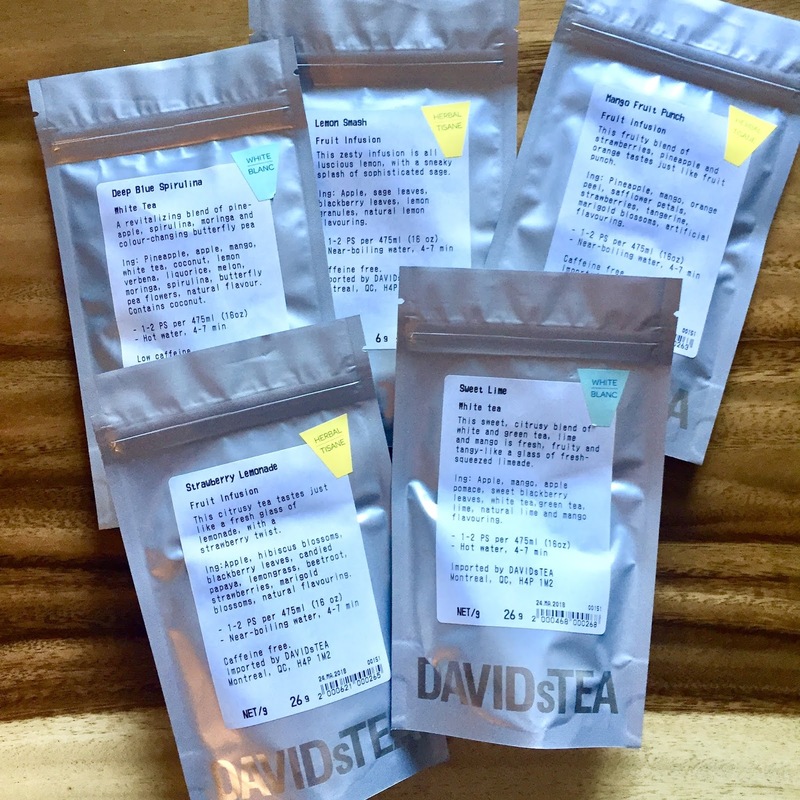 For those of you who follow me on Instagram, you might be aware that I am an avid tea drinker and that David's Tea is hands down my favourite tea spot. I recently stocked up on some of their new summer flavours. I had tried a few and desperately needed to add them to the rotation! I absolutely love making myself iced teas in my press during the summer, and these fruity flavours scream summer! I got Deep Blue Spirulina, Strawberry Lemonade, Mango Fruit Punch, Lemon Smash and Sweet Lime. Bring on patio season! I'm sure some of you have noticed my passion for bandana scarves as of late. I got my first scarves a couple years back at Zara and have recently rediscovered them. I love just how versatile a little square scarf can be! From headband to neckerchief, this accessory is the MVP of any fashionista! I snagged these two additions on clearance the other day. 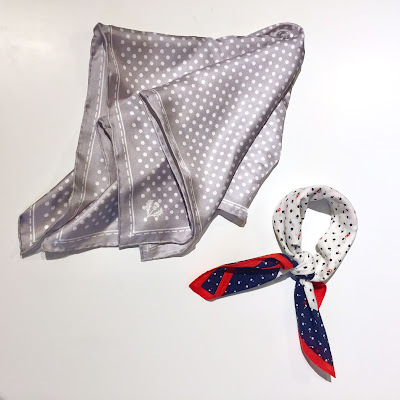 I love the neutrality of the grey polka dot scarf and think it will be a great winter option. As for the second one, it's a subtle cherry print that I'd been eyeing at J. Crew for a while. I was lucky enough to snag it on sale at my local store. I seriously can't get enough of these! Has anyone else been loving the circular beach towel trend? Well, I've been wanting to get my hands on one for the last few years, but never found one I loved. That is until I spotted this beauty at H&M! 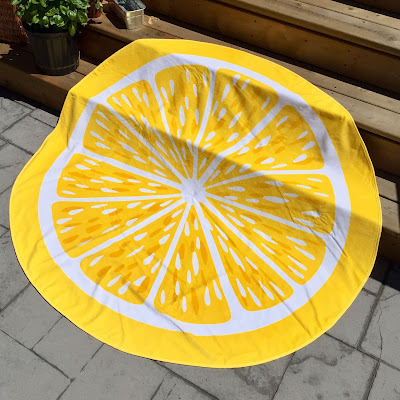 A round lemon beach towel. Can this thing be any more perfect? I mean, it screams summer and I have a thing for fruit-adorned clothing/accessories. Simply put, I could not pass this one up! The bright yellow is so cheerful and will be sure to brighten up my sunshiny summer days that much more! I've linked some similar towels in the widget below should anyone be looking for one! Again, if you follow me on Insta, you might have noticed that I am an Ipsy subscriber. Not to be a downer, but after the fire a couple years ago, I had lost the entirety of my beauty products and felt the restocking task daunting, to say the least. I really had no idea where to begin. That is until I came upon Ipsy. It was the perfect solution to my beauty product problem and fed my love of cutesy pouches. What's not to like? Anyways, I've kept the subscription for just about a year now and am absolutely loving it! 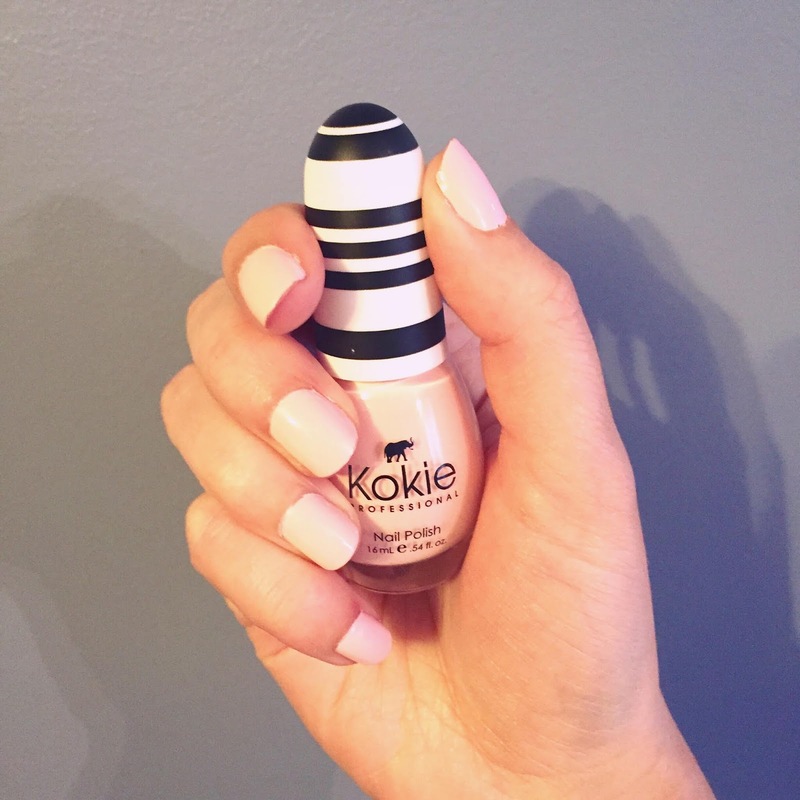 Last month, I got this light bubble gum pink nail polish from Kokie Cosmetics (it's called Fresh Picked). I'm really loving the pastel hue and it's a bit brighter than baby pink. I predict it will be on heavy rotation this summer! My fiancé and I were invited to a family BBQ last weekend and I thought it would be the perfect opportunity to test out a new recipe. It's called Bacon Bourbon Caramel Popcorn. Sounds delish, right? We traded the bourbon for whisky because we didn't have any. I had seen a similar recipe on a commercial so I turned to Pinterest to try and find it. I was successful! We decided to make a test batch first, as to not waste too many ingredients (and caramel can be tricky). Turns out, we are total pros! The recipe is a multi-step process, but is pretty straight forward. 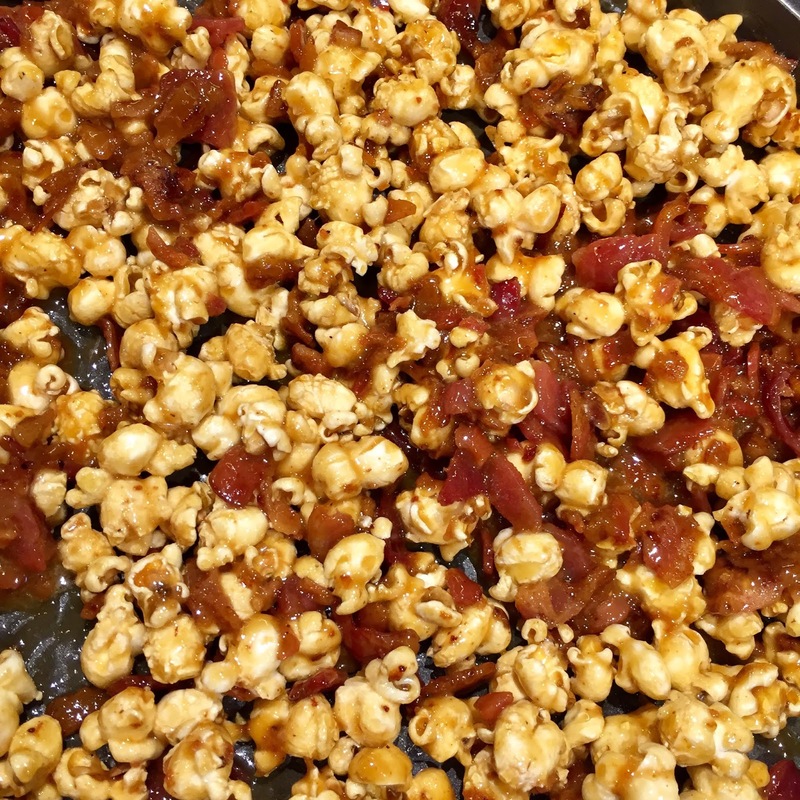 We even went as far as popping our own corn! This stuff turned out awesome and got rave reviews all around! We will definitely be making it again. I'm guessing we'll even get special requests for these munchies!